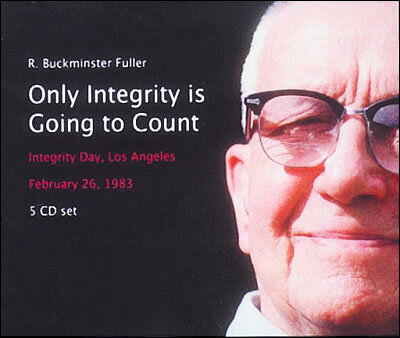 In 1983, during the last few months of his nearly 88 years of life, Doctor Richard Buckminster “Bucky” Fuller gave a series of four all-day lectures entitled Integrity Days. Day 4: Saturday 25 June (06) 1983. He died on the 01 July (07) 1983 and was born on 12 July (07) 1895. Each and every single year since Bucky passed away in 1983 WE™ have celebrated his life, works & legacy. The Integrity Day material is a great resource. In the Integrity Day Lecture Bucky reviews his assessment of the most pressing problems facing humanity, global strategies for successfully meeting these challenges, and the conclusions reached from his 56-year experiment to see what the individual can do to participate in steering the course of Spaceship Earth. This 5-hour audio program on 5 CDs is a record of these events. Bucky hosted several Integrity Days, where he inquired into and deepened the distinctions of Integrity. During one of these he was asked “What is Integrity?“, and Bucky answered after a long and pregnant pause “Courage“. 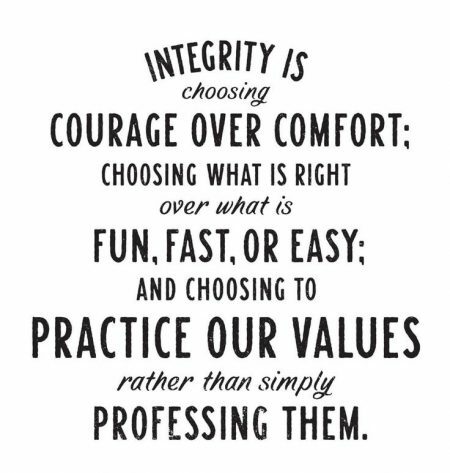 What is integrity for you? How can we optimise our individual and collective integrity? If you would like to learn how to install and optimise the integrity of the individual, group, project or business please review www.IntegrityTechnologies.com. This is the world leader in leveraging and applying these tools, distinctions and body of work.